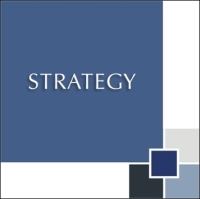 Strategy is not something that is ‘formulated’ on paper and it definitely cannot be ‘outsourced’ to consultants. Firms must take charge of heir own strategy-making process. Strategy-making is a voyage of discovery that needs to be organized in a disciplined way, involving the people who need to carry it out. Strategizing is the art of creating innovative business approaches that will give a firm an edge over its rivals. It is about inventing new rules and shaping the future – and making the existing business obsolete. We can support firms in strategy-making by facilitating the process, challenging assumptions, strengthening strategic thinking capabilities, offering tools, bringing in novel points of view, structuring the outcomes and guarding the time table.